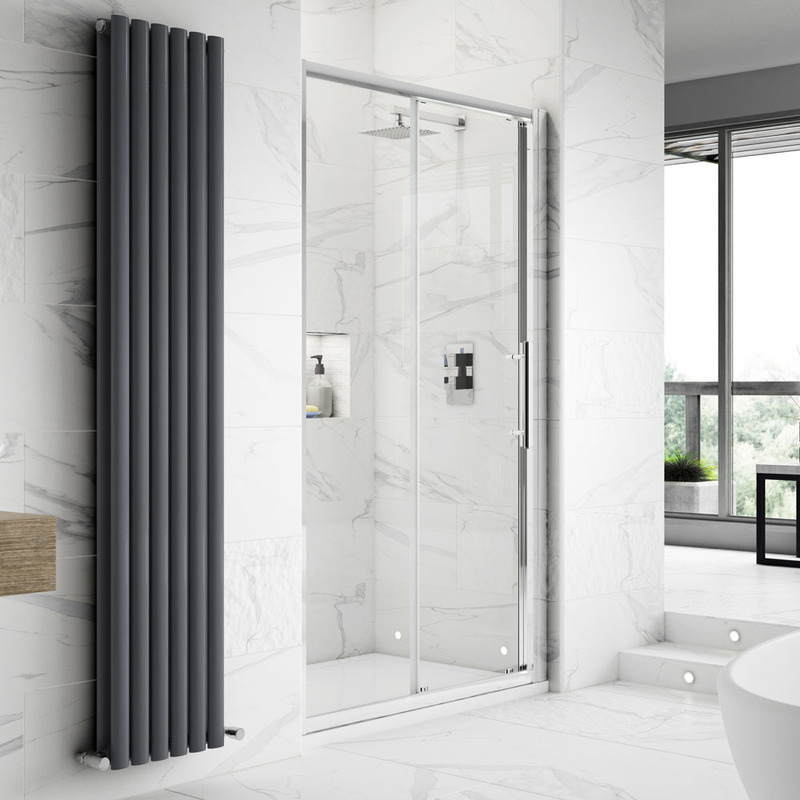 The Apex range features the unique EasyFit profile assembly system. This allows your fitter to assemble the frame of the enclosure in record time saving you money. 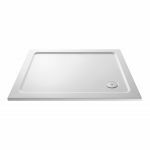 The patented T-Slots slide into the profile without the need for screws creating a rigid and water tight frame. 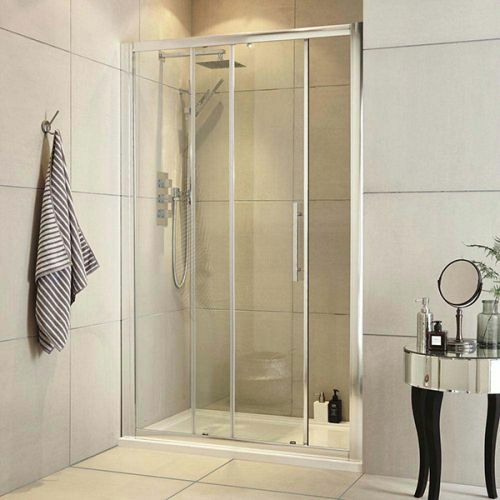 These frames easily support the thick 8mm easy clean glass shower doors that slide effortlessly on strong rollers. 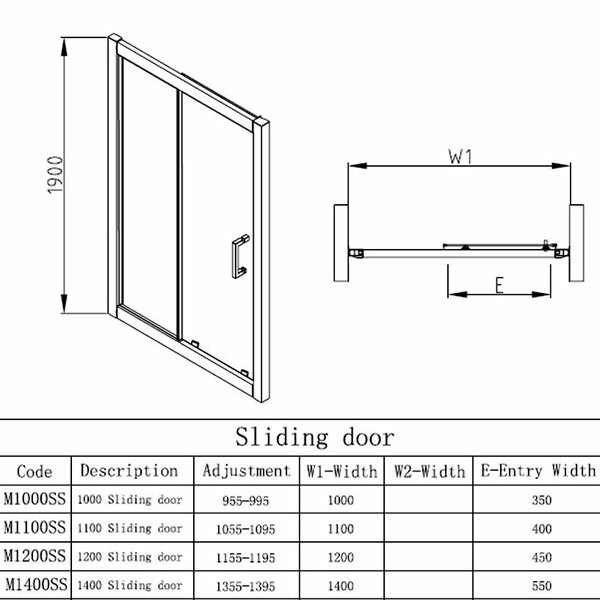 The door is reversible and so can be installed with a LH or RH entry. Install the shower door in a recess or if you prefer add an 8mm frameless side panel to create a complete corner enclosure. 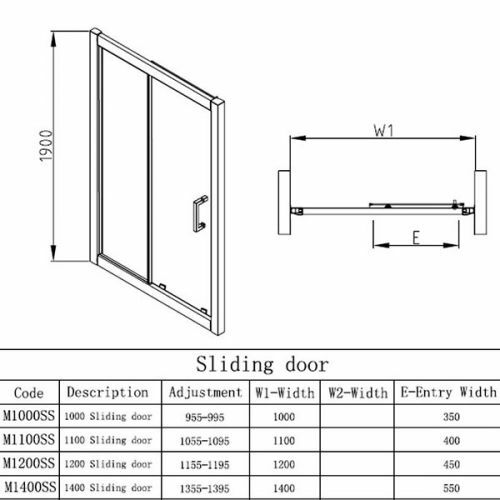 The 1000mm sliding door with 900mm side panel is pictured. The Apex is backed up with Hudson Reeds no quibble and efficient after sales service. For those of you with sizes slightly outside of the 1000-1400mm profile extension kits are now available to add up to 20mm on each side of the shower door.